The Yamaha XS750 triple is one of the most underrated motorcycles of the 1970s. 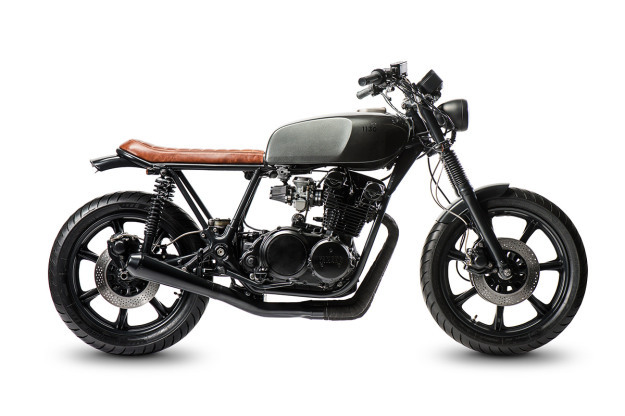 It never achieved the cachet of the Honda CB750, and these days, its smaller SR400 and SR500 brethren are more popular with custom shops. That makes the XS750 affordable on the secondhand market, and this super-sanitary build from Holland shows what can be done. It’s the work of 33-year-old Jules Brans, who works for an Amsterdam record company. 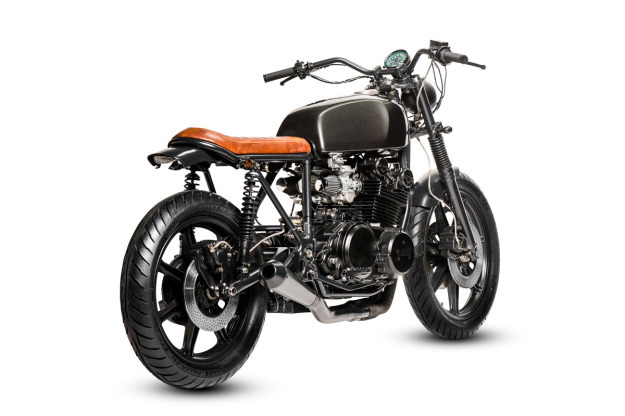 His XS750 is lean and lithe, very much in the current ‘Brat Café’ style, with immaculate detailing. The look might be skeletal, but the workmanship is solid. Jules overhauled and repainted the engine, and fitted compact cone filters and a custom exhaust system to improve the breathing. He’s cleaned up the frame and welded on a new rear loop before giving the whole lot a deep coat of black powder. The overhauled forks are hiding stiffer springs and have been spruced up with gaiters and custom covers for the lower legs. The brake discs are drilled out and the calipers are hooked up to stainless lines. The fenders are stock, but bobbed and powdered, and the standard wheels are now shod with grippy Avon Roadrider tires. 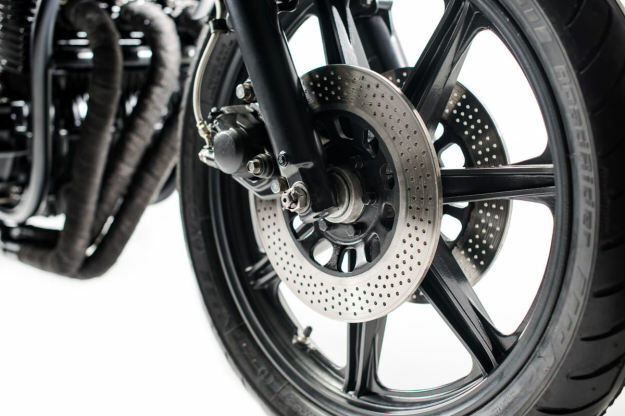 The deceptively spindly rear shocks are Hagon and will improve the handling no end. 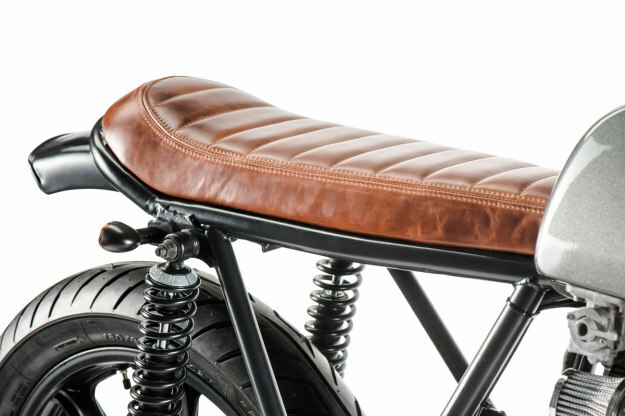 A slim leather seat has instantaneously transformed the usual heavyset looks of the Yamaha XS750, and Jules has fitted a super-compact Ballistic battery to open up the ‘triangle’ under the seat. 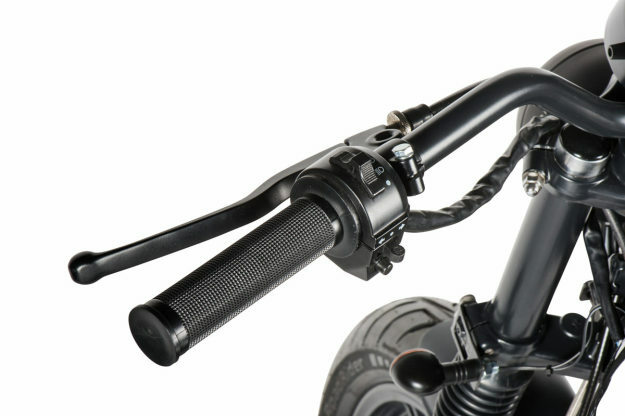 Adding to the minimal look are motocross-style bars, mini blinkers, a custom speedo bracket and new grips and levers. 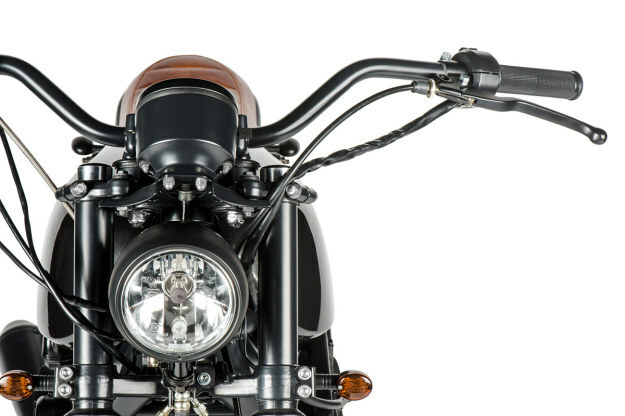 The compact headlight is powdercoated to match the rest of the bike. The tank is one of the few items Jules left unchanged: a lick of dark paint was all it needed to match the rest of the bike. Jules now plans to build more machines, and has called his brand ‘1130.’ It comes from an old Dutch saying Op z’n elfendertigst, which means great attention to detail—and also implies something that is cumbersome and slow. An honorable approach—but hopefully it’s not too long before we see the second build from 1130. 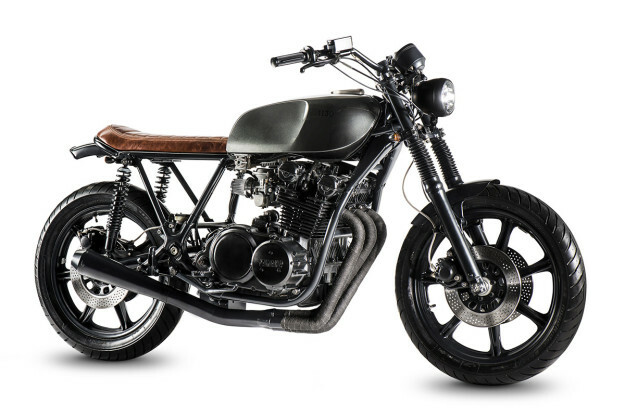 For a completely different style of Yamaha XS750, check out this cafe racer from Spirit Of The Seventies.